When: Thursday and Friday, September 5th and 6th with the half-day workshop on Wednesday, September 4th. Who: Kim Scott (author of Radical Candor), Jen Dulski (Facebook Head of Community), Ryan Smith (CEO/co-founder of Qualtrics), Jascha Kaykas-Wolff (CMO at Mozilla), Chris Bruzzo (CMO at Electronic Arts), and dozens more CEOs, CMOs, and community leaders. We know all business is moving — or in some cases, being dragged along — to be customer-centered and community-focused. This is why CMX Summit is so important! By attending, you’ll be educated and trained by those at the forefront of this space and others championing customer and community programs. With recent headlines around social media fatigue, misinformation, and data protection (or lack of it), community professionals are being called upon to solve some of the world’s most important challenges. A Pew Research study revealed only 3% of US social media users say they have a lot of trust in the information they find on these sites. As a growing alternative, digital natives have been turning to in-person communities. A recent CMO Survey reports internet sales remain modest at 12.2% of total company sales. Marketing leaders (55.9%) cite the need for more human interaction as the key barrier to growth. In a new paper looking at the strategies people employed be happier. It found that engaging with others worked better than trying to self-improve. “Those people with social ideas became more happy,” said Julia Rohrer, a PhD candidate at the Max Plank Institute and author of the study. Our goal for Summit is to bring the world’s best thought leaders together — face-to-face — to share their perspectives on how community professionals need to adapt in order to harness the power of human interaction and solve these important challenges. There are tens of thousands of community builders and customer-driven individual contributors, managers, directors, VPs, CMOs, and CEOs out there. But there has never been a conference this big, focused entirely on you! Growth in the community profession and the advent of customer-to-customer (C2C) marketing is a huge emerging trend in business. Whether you work in the business-to-business (b2b) space, in consumer (B2C) brands, in non-profits, in government, or in education, CMX Summit is the event for you. We’re taking leadership to the next level at CMX Summit 2019. We all know to get buy-in and to get more budget and resources for our programs, we need to bring executives into the conversation. We also know there are many of them who already understand how important community is to an organization. We’re bringing these community champions in. We’re putting more CMOs, CEOs, and founders on stage than ever before. And we’re encouraging you to bring your leadership to hear from these dynamic executives. With 1,000 people and incredible speakers and sponsors in the room, you’ll be able to walk away with new connections, contacts, possibilities, and even friends. How amazing would it be, if you were in a room talking about new technologies or plans for your community, and your boss mentions a technology from, or a community run, by someone you met at Summit! I always encourage each of you to meet at least 8 people at every event to get the most from your experience. You’ll find that community professionals are very friendly people. In fact, our emcees have sometimes struggled to get the show running again due to your enthusiasm for each other. And don’t worry, introverts, we’ll make sure to have places for you to chill when you get tired of all of us extroverts. At CMX, we have a commitment to bringing you incredible talks, whether they’re inspirational, strategic, or getting down into the details of making community happen. And we’re extremely passionate about diversity and inclusion on stage and adding to the experience of Summit. Traditionally, Summit’s been 65%+ women in attendance. This means, from our very beginnings, our conference has matched our community in binary gender representation. But that’s step one! Since 2017, we’ve made further commitments — and had actual programming numbers to back it up — for racial and queer representation on stage. With each show, we learn something new and pivot. We’re still building out lineup, and expecting a lot of speakers (around 60)! We still have speaker pitches ahead of us — make sure to sign up for our newsletter to get the announcement when it hits — and a lot of spaces to fill. 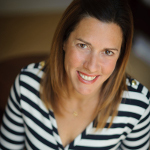 Kim Scott is co-founder of Radical Candor and author of Radical Candor. She’s been an advisor at Dropbox, Kurbo, Qualtrics, ReelGoodApp, Rolltape, Shyp, Twitter, and several other Silicon Valley companies. She was a member of the faculty at Apple University and before that was at Google. Known for her ability to generate billions of dollars in revenue from millions of small customers while keeping her team happy and margins high, Kim’s unofficial title was High Priestess of the Long Tail. She is the author of three novels; she and her husband Andy Scott are parents of twins. Jennifer Dulski leads Facebook Groups, a product used by more than 1.4 billion people to create and participate in communities that matter to them. Prior to Facebook, she served as president and COO of Change.org, which grew from 18 million users to more than 180 million under her leadership. 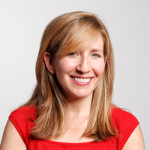 Jennifer writes about management and leadership for LinkedIn Influencers, Fortune, Forbes, and Huffington Post. Her first book, Purposeful, about how each of us can be movement starters, was published in May 2018 and is a Wall Street Journal Bestseller. Ryan Smith co-founded Qualtrics with the goal of making sophisticated research simple. In January 2018, Qualtrics was acquired by SAP for $8B in cash. Ryan grew the company from a startup to one of the fastest-growing technology companies in the world with more than 8,500 enterprise customers, including over 75% of the Fortune 100. Named to Fortune’s 2016 40 Under 40, he’s a frequent contributor to Fortune Magazine and has been featured in Forbes, Harvard Business Review, The Wall Street Journal, Fast Company, Inc., The New York Times, TechCrunch and USA Today, and has appeared on CNBC, Bloomberg TV and FOX Business. Nick Mehta is the CEO at Gainsight, the #1 customer success platform for corporate services, turning your customers into your best growth engine. To date, Gainsight have raised over $156m from some of the world’s best VCs in the form of Lightspeed, Bessemer, Insight Venture Partners, Battery Ventures, and Salesforce Ventures. As for Nick, prior to Gainsight he was the CEO at LiveOffice where he grew cloud archiving ARR from $2m in 2008 to $25m in 2011 and drove and negotiated the acquisition by Symantec for $115m in cash. Before LiveOffice, Nick was Senior Director of Product Management at Symantec where he led $378 MM market-leading email archiving / security businesses managing over 180 people across 3 continents. 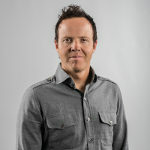 Before that, Nick co-founded his first business during college in the mid 1990s, a venture-funded online golf retailer called Chipshot.com that became one of the top 20 online retailers of its time. Nick holds a Bachelor’s degree in Biochemistry and a Master’s degree in Computer Science from Harvard University. 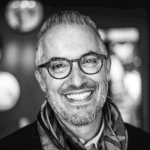 As Chief Marketing Officer, Jascha Kaykas-Wolff leads Mozilla’s global marketing strategy and organization. Prior to joining Mozilla, he served as CMO for BitTorrent and CMO for Mindjet. Jascha’s marketing specialties span B2C and B2B, and outside of work, he’s a passionate volunteer and mentor with TheLastMile.org. He published Growing Up Fast with Kevin Fann in August 2014. He calls Marin County home with his wife Rebecca, 3 whip-smart children, 1 grey-haired hamster, 2 frogs, 6 or 7 fish, and 1 cat to eat them all. Rebecca Kaden is a Managing Partner at Union Square Ventures, where she invests in primarily early stage businesses using technology to broaden access to capital, knowledge, and well-being. 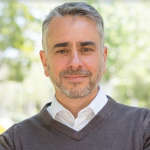 Chris Bruzzo has been the Chief Marketing Officer at Electronic Arts Inc. since joining in September 2014. In this role, he oversees Electronic Arts marketing strategy, strategic communications, and web strategy and experience teams. 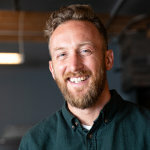 Chris previously served as the Chief Marketing Officer and Senior Vice President at Seattle’s Best Coffee at Starbucks Corporation. 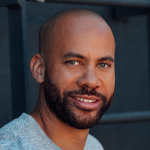 Kobie Fuller brings to Upfront deep expertise in enterprise SAAS and emerging technologies, including VR and AR. Over his career, he has invested early in notable companies including Exact Target (sold to Salesforce for $2.5B) and Oculus (sold to Facebook for $2B). Kobie was previously an investor at Accel and Chief Marketing Officer at LA-based REVOLVE. He graduated from Harvard University. 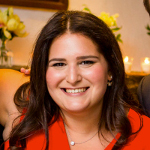 Erica Kuhl serves as Vice President for Community at Salesforce, where she also served as manager and senior application instructor. Prior to Salesforce, Erica was a consultant at Live Solutions. In 1996, Erica completed her degree in business at the University of Colorado in Boulder. 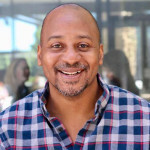 Wayne Sutton is a serial entrepreneur and co-founder of Change Catalyst and its Tech Inclusion programs. Change Catalyst is dedicated to exploring innovative solutions to diversity and inclusion in tech. As a leading voice, Wayne shares his thoughts on solutions and culture in various media outlets and has been featured in TechCrunch, USA Today, and the Wall Street Journal. In addition to mentoring and advising early stage startups, his life goal is to educate entrepreneurs who are passionate about using technology to change the world. Renata Amaral is the CEO of EAT, a creative studio that delivers branding and design. EAT all started in 2009, with nothing more than a 200 square foot apartment and stupid jokes over Skype, to form a creative studio based on Renata and company’s unique talents and perspectives. With team members residing in several different countries, EAT has purposefully positioned themselves to tap into ideas and inspiration from all over the world. Richard Millington is the founder of FeverBee and author of both Buzzing Communities and The Indispensable Community. 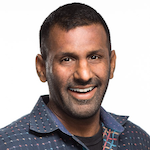 Over the past 13 years, Richard has helped 270+ great brands, including Apple, Facebook, Google, The World Bank, and SAP use powerful psychology to build thriving communities. 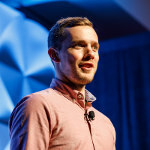 Through his community management academy, he has also trained 1,250 of the world’s top community pros. 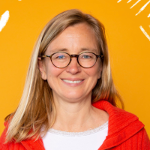 As Head of Community at Duolingo, Laura Nestler is a community builder, wanderlust enthusiast, and headline writing wiz. She’s seeds, launchs, and grows communities with a knack for crafting and scaling playbooks, building effective teams, and translating value propositions overseas. Before Duolingo, she was one of Yelp’s first community managers, launched Yelp’s international expansion, and developed and oversaw Yelp’s small market expansion into 60+ cities. David Spinks is the Founder of CMX, the premier community for community professionals. CMX’s mission is to help community professionals thrive. The CMX team has trained hundreds of companies in community strategy, including teams at Facebook, Google, and Salesforce. Today, thousands of community professionals come to CMX every day to learn, connect and grow. In February 2018, CMX was acquired by Bevy. With a bigger conference, vendors will have the opportunity to reach even more people than ever — and as always, we will make sure these sponsors are industry champions. They are the companies who care directly about your success and how they can help with that. If you are one of these champions and interested in sponsoring Summit, please reach out to us! We hope you can all be there, and that you’ll bring your colleagues, CMOs, CEOs, and anyone else that is invested in building community at your organization. If you’d like to bring more people from your team, we offer team discounts! You don’t want to miss out. The Early Bird deals end in early May, or when we sell out of them, whichever comes first. So don’t snooze on this and get your ticket now! Are you bringing 3 or more people to Summit? We hope you are, and Group tickets save you and your organization money. We have special Group pricing at 3+, 6+, and 10+, which you can buy directly from the interface. If you want to buy 15+ tickets, reach out and we’ll make you an extra special discount. As a special perk for our CMX Pro members, we offer a Pre-Sale 2-Day Conference Ticket that saves you $350 (42%) per ticket compared to our General Admission 2-Day Conference Ticket ($849). Pro members can buy up to 2 of these tickets. By becoming a CMX Pro member! CMX Pro is our exclusive membership for community builders, which provides a private community, direct group office hours with CMX staff and other members, exclusive video recordings from our webinars, access to previous conference videos, and super sweet discounts like this one! For only $50 more, you can get a CMX Pro membership on top of your two tickets. But you have to act quickly — we only have 50 of these tickets! We expect them to sell out by or before April 5th. You want to make this happen now. We’re so pumped to see you all there!